After you have completed your shopping on the J.Crew website don't forget to plug your coupon code into the right spot on their site to get your discount. On the 'Shopping Bag' page is a box titled 'Have a Promo Code?' that drops down once you click on it. 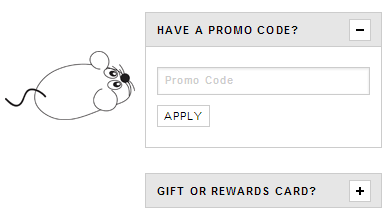 Just enter your J.Crew coupon code, click 'Apply' and verify that your discount was accepted properly.